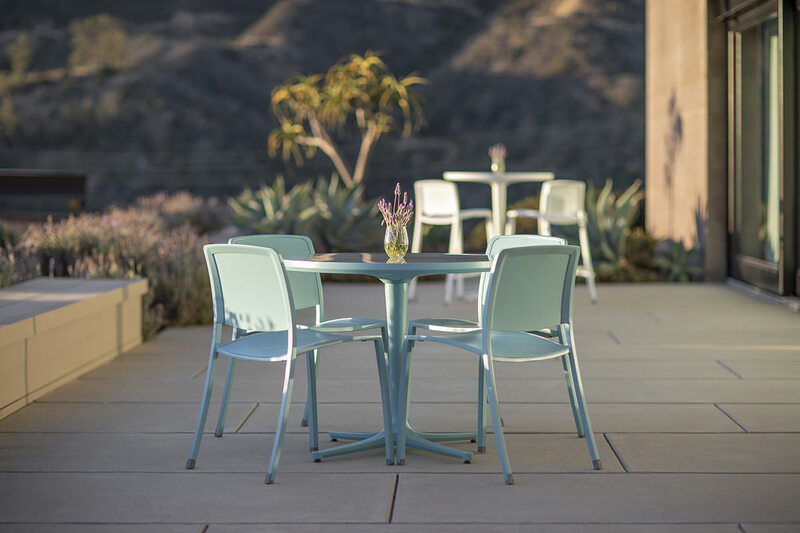 Blending modern aesthetics with versatile design options, Avivo Pedestal Tables are a sleek addition to a family that includes chairs, tables, bar stools and bar tables. Avivo pedestal tables feature the same exquisite detailing and durable construction as the rest of the Avivo line. Three configurations – a 16" high coffee table, a 30" high café table, and a 43" high bar table – serve up solutions for a variety of gathering scenarios. 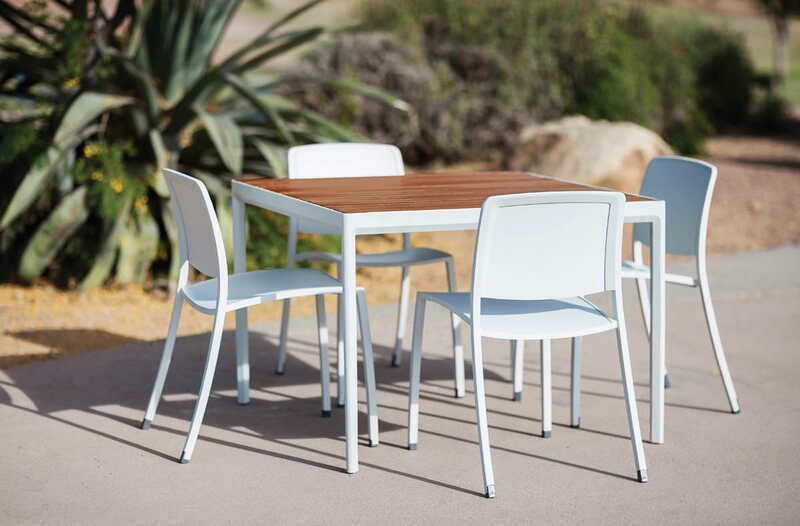 Café tables coordinate with Avivo chairs; the bar tables with Avivo bar stools. Avivo pedestal tables have round tops in a choice of 36" or 42" diameters. Each top sits solidly above a tapered aluminum column that transitions to a cross-shaped base. Table tops are available with insets of aluminum, TENSL Ultra High Performance Concrete (UHPC) or tempered glass. 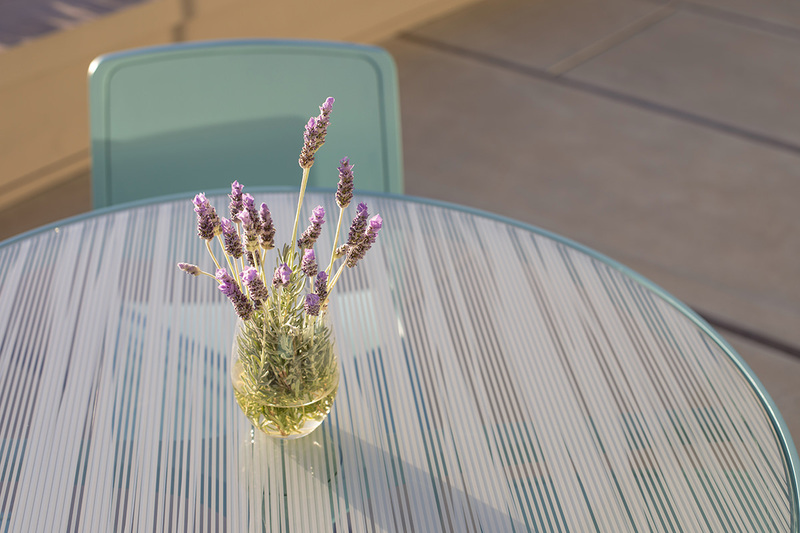 Glass top options include clear glass or standard and custom selections from our VividGlass line. 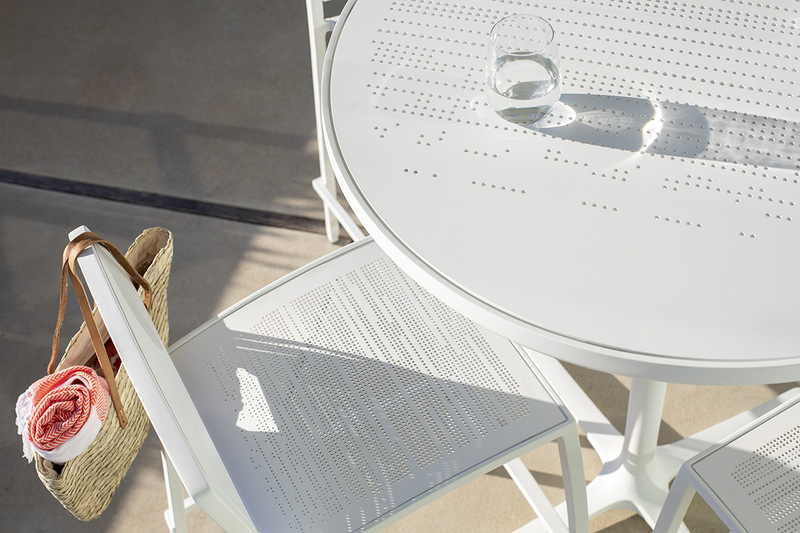 Aluminum table tops can be specified in a wide range of standard and custom powdercoat colors and with or without one of three perforation patterns: Riva, Stella or Vento. 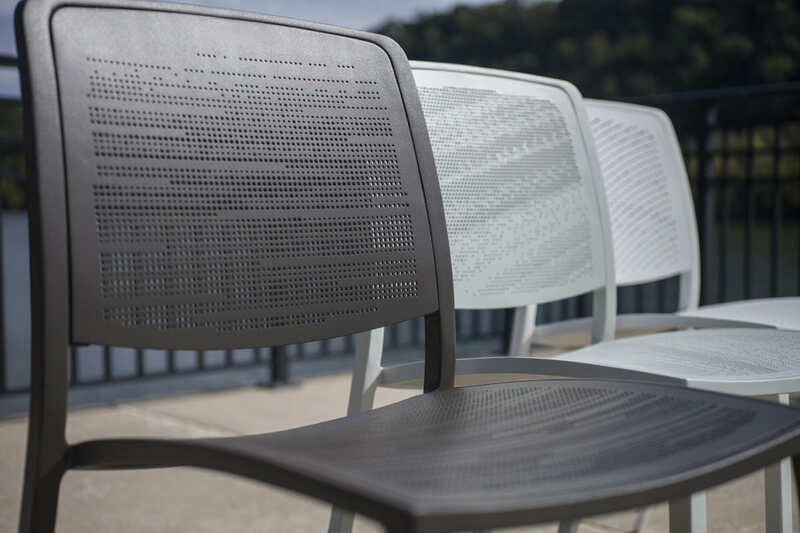 The same three perforation patterns are also available for Avivo chairs and bar stools for a clean, unified look. In addition to the new pedestal table designs, the Avivo family also includes rectangular Avivo tables and bar tables, each in a variety of sizes and configurations, and each with a choice of table top inset materials. 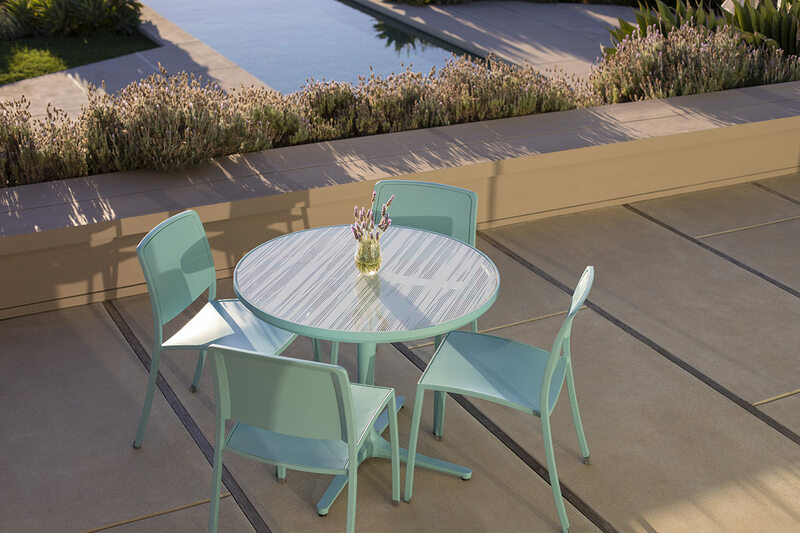 Among the table top options: slats of FSC® 100% or Recycled reclaimed hardwoods; and tempered glass and powdercoated aluminum in the same range of design options as for the new pedestal tables. 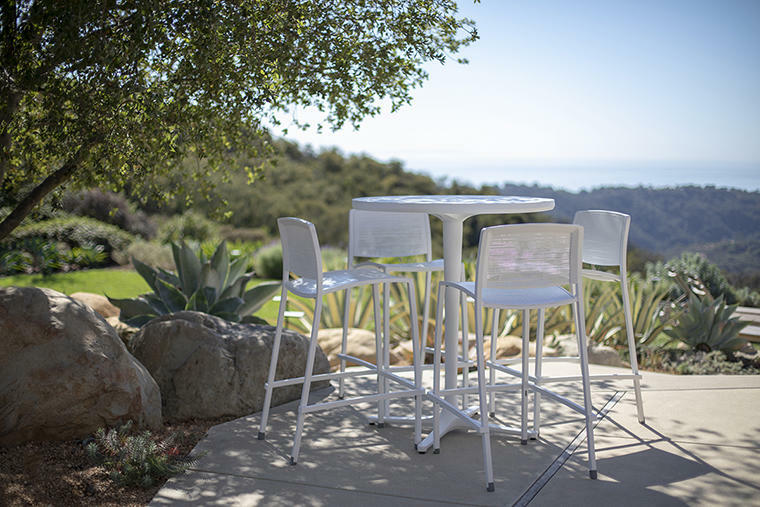 Designed for use indoors or out, Avivo pedestal tables and the entire Avivo family offer beautifully versatile choices for hospitality and healthcare settings, corporate and university campuses, rooftop terraces, poolside patios, and gathering spaces of all kinds. To learn more about the options and to meet the entire family, browse the Avivo Family page.